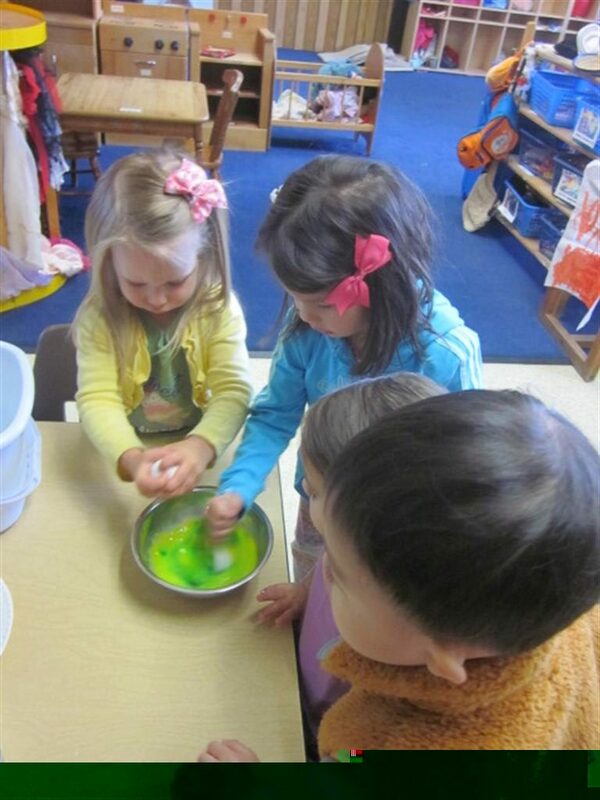 Room 6 celebrated Dr. Seuss’ birthday on March 1st by reading Green Eggs and Ham and cooking green scrambled eggs. 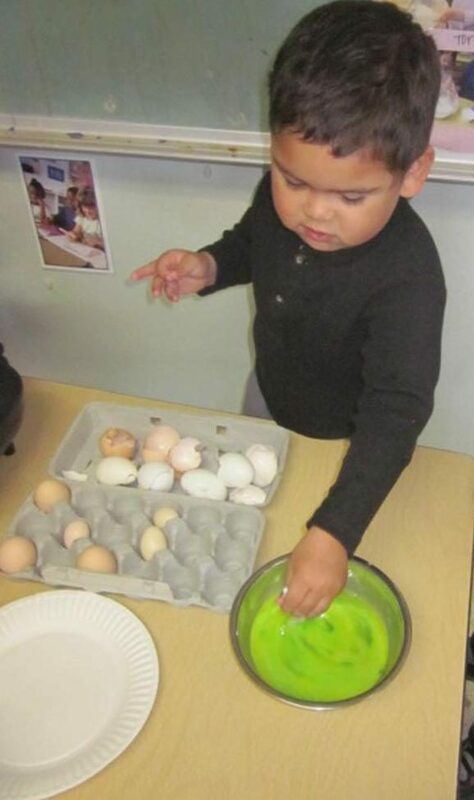 Using the eggs laid from our school chickens, the children cracked the eggs, stirred in the green food coloring, and poured the mixture on the skillet. They ate the green eggs just like “Sam I Am” from the book!